Simple new in-tank mini-filtration from Lifegard. 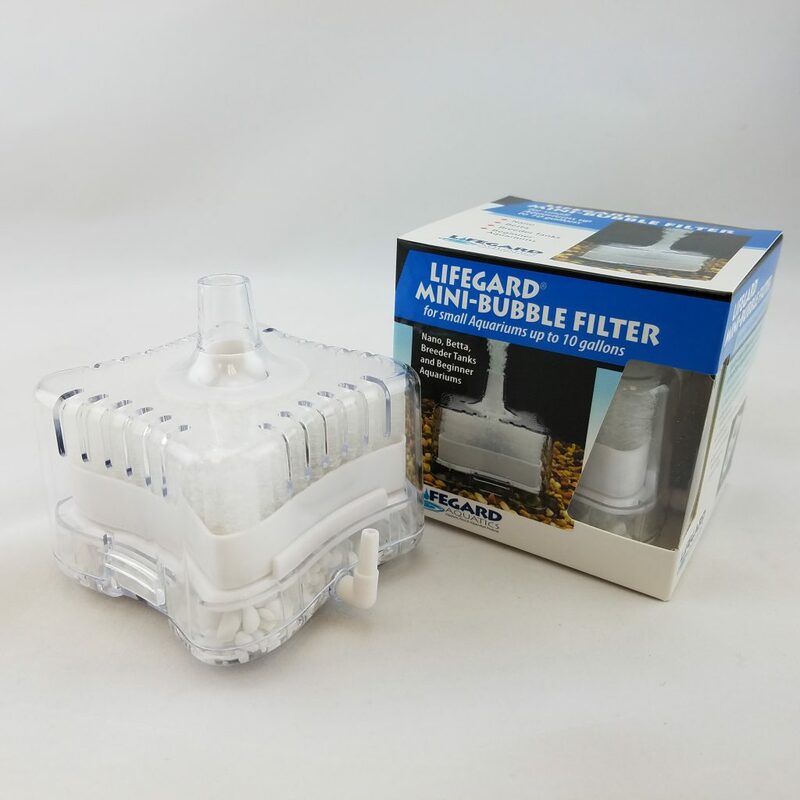 Lifegard® Aquatics has introduced a new MINI-BUBBLE FILTER designed for small aquariums up to 10 gallons… such as Nano… Betta… Breeder… and Beginner tanks. It’s air-operated, with multi-stage filtration that promotes a healthy aquatic environment by removing debris in water through a Mechanical Sponge with Activated Carbon Chamber and Biological Gravel Media. Includes suction cups for secure installation and replaceable Filter Sponge and Carbon Cartridge. Please help me. I want to purchase the Mini-Bubble Filter but I can’t see what size is the air tube. The one I have is 3mm inside diameter. Would you send me the dimensions and prices.